We surely have taken a long gap from writing, now we are back and going to start on the subject of raising children. In the first seven years, your goal is to build a strong connection to your child. This is the foundation, the base from which your relationship with them grows. If this is rock solid, the remaining years will be much easier. If this foundation forms poorly, the next years will be more challenging. If you have young children, this (first seven years) is the time to roll up your sleeves and invest, heavily, in your and their future. In fact, you will be rewarded for all the righteous progeny that survives you, not just children, until the Day of Judgement. Once children reach seven, they are ready to learn. (Perhaps this is why Finland starts school at age seven.) This is the time they are sponges, ready to soak up anything and everything you tell them, teach them, show them, and do in front of them. If you built that solid foundation in ages 0-7, they are now more than willing and happy to learn from you. Teach them sports, too; Rasulullah (salallahu alayhi wa sallam) said: “Teach your children swimming, archery and horseback riding.” They gain many benefits from it, including physical fitness, learning teamwork, and sportsmanship. At this age (grade 8-9), you are mostly out of the picture. 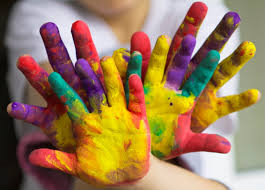 Children achieve independence; their personalities manifest; they look more to their peers than their parents and families. During these critical years, befriend them, advise them, and do what you can; understand that they are now full adults, and the choices are theirs to make, right or wrong. If you worked hard during the last two periods of seven years, you will already be that trusted confidant, that advbisor, that go-to person when they need help or advice. Be part of their lives, and advise them as best you can. Children are the greatest blessings Allah has bestowed on mankind. These little beings can bring so much joy, their whole being is to entertain you, they crave parental acceptance and always ready to please them. Sometimes I wish I had the attention span of a little kid. If anything bothers them, they cry over it for a second and then forget about it … As we grow older, the forgetting part gets so much more difficult and the problems of the dunya seem to stick with us. Ahhhh I sometimes honestly wish we all could go through adulthood with this characteristic. However, alhamdulillah for every situation we are blessed with, always room to learn and improve. Fulfilling Islamic parenting is a great Amanah (trust). Raising children leads to being successful – but success is made up of upholding the truth and being steadfast whilst having patience. Today’s post might be of benefit to some, but it was mainly taken from an introduction given by a teacher/Ustadh regarding how a student should aim to seek knowledge of Fiqh. Some steps can be applied to studies in general. Take notes – (repetition whilst thinking – taking notes). Diagramming what you are studying helps visualizing the subject. Seek knowledge and review notes and take notes to benefit long term. Ask – ask relevant questions to aid understanding. Learn how to ask questions. Do extra reading – reading the best of things and suitable/ selective reading. 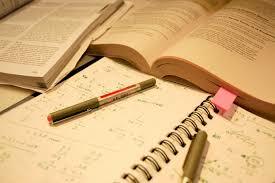 Prepare fro the class –before the lesson. Go to the class knowing the subject better than teacher. For every hour of lecture you should do 5 hours of preparation. Review after class as well – reflection. Having high intentions ­– benefiting from the knowledge to be able to aid others. Clear defined goals –what do you need to know? Ta3’dhim –venerate the signs of Allah = Taqwa. To have deep respect of knowledge. Scholars are inheritors of the Messengers so seek from them. Don’t disrespect the U3lama. Books of knowledge are vessels of guidance that give life to our souls and our lives. Consistency – learn and review something everyday, always act upon knowledge. I start this by asking to seek within yourselves the reason to which you reached your conclusion to abandon the idea of your child to be educated at the hands of people whom you deem inadequate to fulfil their educational needs. What drove you to that conclusion? What was the intention behind that? Was it because you thought you could do a better job at it? Or was it merely to give your child an Islamic education of which the state would have never given it to them? Or did you want to start a new trend amongst your peers and give your child what you could have only dream of? I start of by apologizing for I honestly believe much of what I will write and conclude will inevitably offend some whilst it might puzzle some or even cause some confusion, however, my intention is far from that. As an actual fact, my intention to highlight that which has been ignored with many home schoolers. I apologize in advance to those who will reject what I may say and I say this to those who think my advice is nothing but naïve conclusion due to my lack of experience with the home schooling world that I am neither offended by the thoughts of people nor saddened that maybe none shall pay heed to my advice but my intention is to aid and even if it means one out of many have found some sort of help from this then I am happy, because this was not written for nothing. The purpose of home schooling should first and foremost be based on the understanding that one wants to supply their child and equip them with the necessary tools that would be crucial for the duniya and mostly akhira. If one was to understand the purpose of children and the amanah/trust that Allah has entrusted them with then everything else will fall in place. These children of ours are a means by which Jannah could be achieved, aside from the hard work you do yourself for your own nafs, your children are an added bonus that can make the path of entering jannah an easy one if the necessary measures are intact and the command and ruling of Allah are established in their lives. 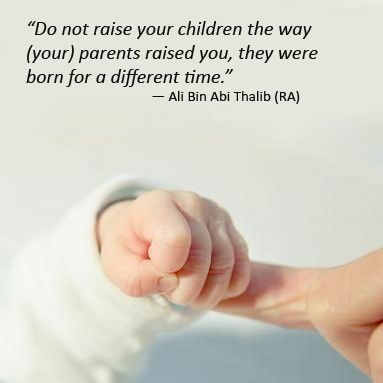 Thus one can conclude from having understood this, that it is through aiding your child and giving them a proper upbringing that has all the right and balanced elements of love, mercy and discipline that the same child can attain such good adab. Why spoil a child when it will only grow to kick you back as discipline was never established. So having understood the Amanah aspect of a child we will now move to the education. As soon as a child reaches a discerning age, which most scholars say is two..this is the age where a child can distinguish right from wrong. You give that child a lot of love at that age with discipline when ever is needed. We have to come away from the backward understanding of discipline that usually always equals to some sort of physical punishment. A child who has not reached puberty is not allowed to be physically punished. 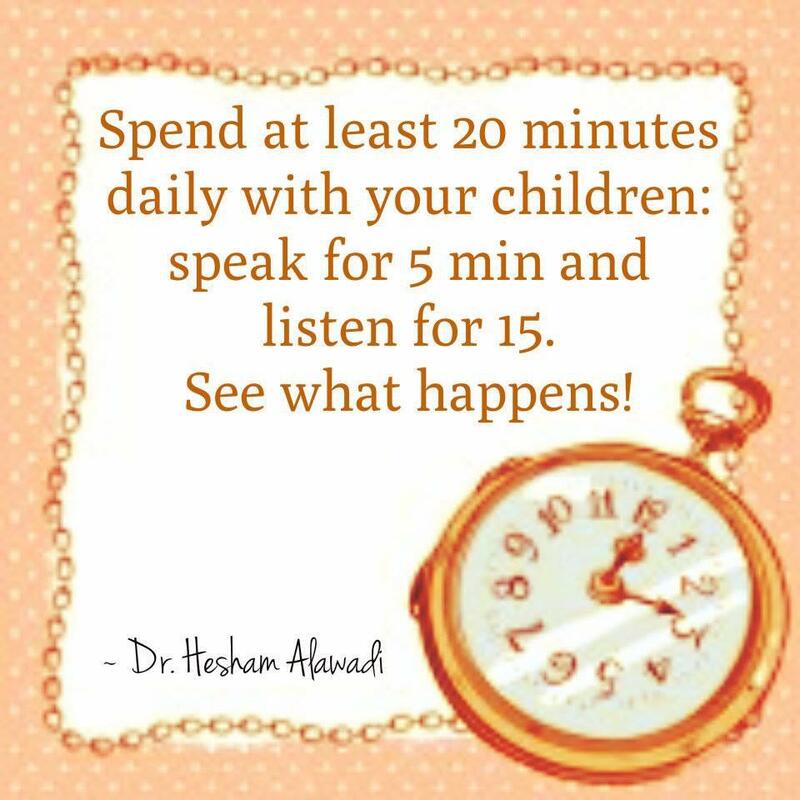 Therefore, as soon as you understand that your child is of the understanding age, you give them good adab measures and this my dear readers can only be established through yourself, a child learns through watching for the majority of the life so watch your actions carefully. Then after giving them adab, you make them appreciate Allah’s words. And this is through the memorisation of His holy Book Al Quran. A child is a sponge, they will soak up everything. 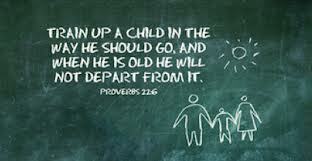 A famous Christian monk once said, ‘’give me a child before 7 and he is mine forever’’..the meaning that I derived from this is that a child before then is a sponge and you can mould them within that time, therefore forget secular studies or teaching them how to read or write in English. Teach them the Arabic alphabets so they can decipher the Qur’an on their own. Help them with memorising the whole of the Qur’an before they reach seven, so that their brain cells are exercised to their fullest and it expands to allow easy access of information to penetrate through their mind. Once they have become hufadh, aid them in keeping the Qur’an intact in their minds, get them to be consistent in memorising their chapters. My dear readers, you will be amazed as to what your child is able to achieve through just memorising the Qur’an, you can give them a book on history and they are able to memorise that …give them anything and you will see what they are able to do. I am not making this up, this has been the tradition of those before us and still is in many countries, why waste your child’s crucial years in teaching them phonics or maths and English or history? Why waste so much time worrying how they should write when all they need is 100 hours of literacy in order to be literate as stated by John Taylor Gatto. Why stress over worldly matters when our children are failing in akhira matters….?? I named this post the homeschooling joke because for many people who home school have failed to see that all they are doing is mimicking the school system which is a system that is failing learners more so today in the 21st century than ever before. 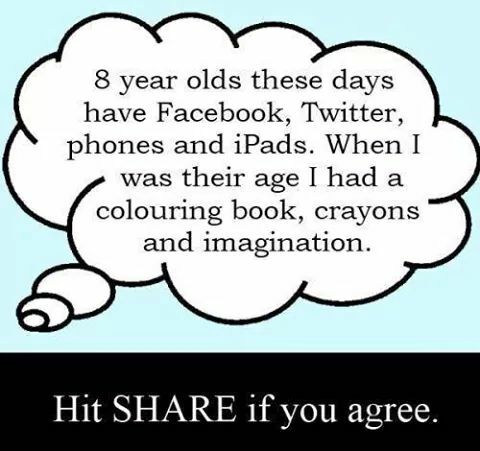 We are living in the information age and it has become the easiest thing to home school, but most parents will spend valuable time browsing around the net for irrelevant activities for their home schooled child to do, when in reality all they need is a little creativity and a trip down the library to see what they can find. This is not to say that there aren’t any exceedingly good websites to download activities from but then these children are being fed the same rubbish for the first 7 years of their lives like that of a school environment. Home educating or home schooling differs greatly to the school system especially for Muslim families. This is because your primary goal is to help your child build an Islamic personality and have an Islamic understanding and correct upbringing. Secular studies is not important at this stage until later on. But if you look around, parents are bombarding their young child with at least 4 or 5 studies a day and wanting the child to exceed. For what reason? 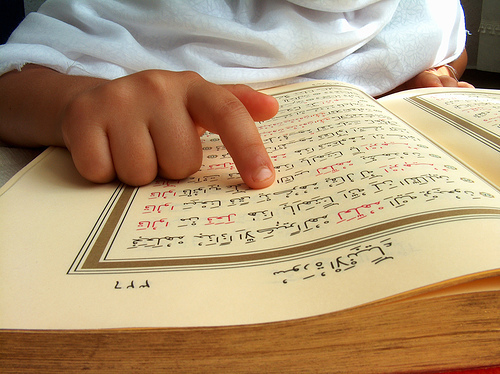 For what purpose, when the child is incapable of making sense of the Arabic alphabet so that they may be able to read the holy Qur’an….for what gain when they can’t even pray a unit of prayer because they’ve never been taught how! 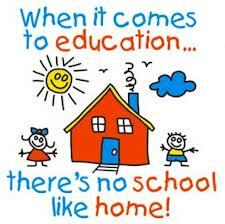 Most parents have lost track as to what it is that they aim to achieve from home schooling their young one. You will find the competition driven parent who want their child to acquire as many skill based study possible so to show it off to others, or you will find the typical mum who has occupied her shelf with so many resources that they will never really need, or the parent who seems to concentrate on giving so many classes of different skills and the child has so many clubs to attend and peoples homes too. What is going on? I am not against the use of other teachers to help educate your young one, but hold on a second, the whole idea of home schooling is on your shoulders. That child is your sole responsibility, why not reap all the reward for yourself..especially in the case of Quran! Go look back in the pages of history you will find the likes of Imam Ahmed and Abu Hanifa, Bin Baz, and many more who were taught by their mothers, only when need be they included teachers from the masjid. But the foundation started with their mothers. Your child is an Amaana (trust) that you have to look after, they don’t belong to you, thus you do your utmost best to take care of them, making sure their Islamic understanding and good upbringing is intact, so tomorrow when you stand before Allah you are not in doubt as to what it is you have taught that child. Also, look at your children as an investment, now, you wouldn’t place an investment in a bad pot hole would you? Rather, you would take good care of it making sure everything is in order so that you may reap its reward in the near future.